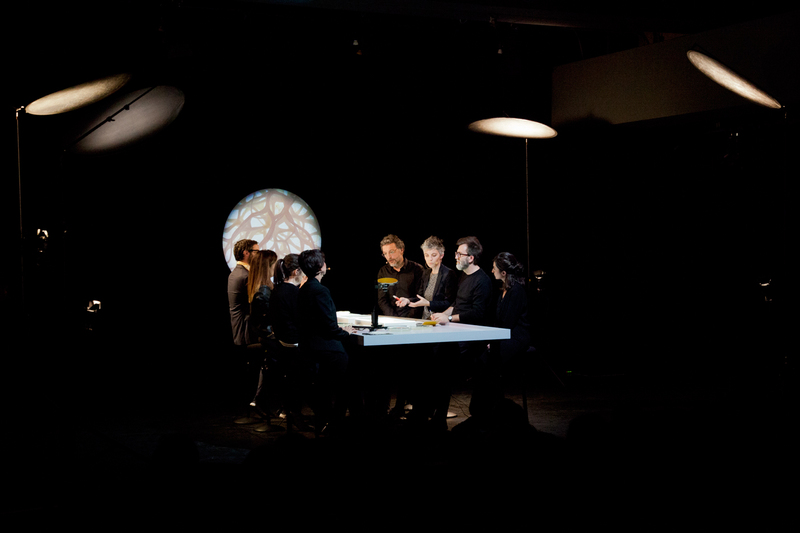 To renew the round table format (which is often only round by virtue of its name), to restore more lively forms of exchange than the usual conference procession of rehearsed speeches, hoping to spark radically multidisciplinary debates and grapple with the very objects of the discussion, we present a new format for public debate: Dissect. 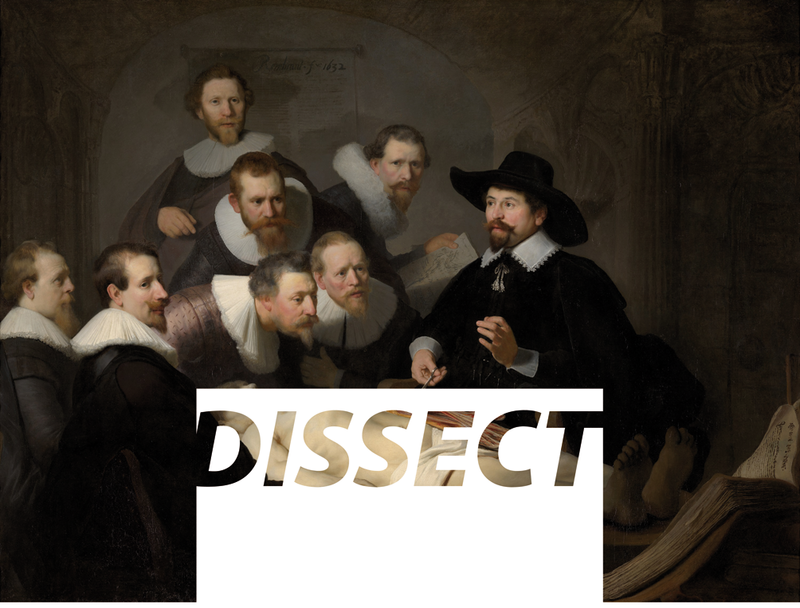 Critically referencing classic anatomy lessons – like that of Doctor Tulp, portrayed by Rembrandt in 1632 – Dissect is an updated theatre for the analysis and discussion of contemporary works of art and design in the very presence of the works. 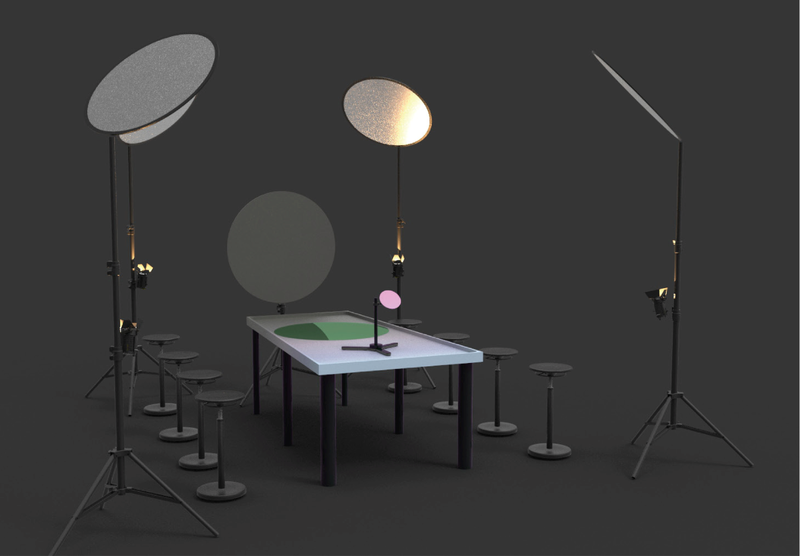 We ought to not be talking about things, but rather with them, combining words, gestures, and objects in a public dispositif specifically designed for such an interactive process. 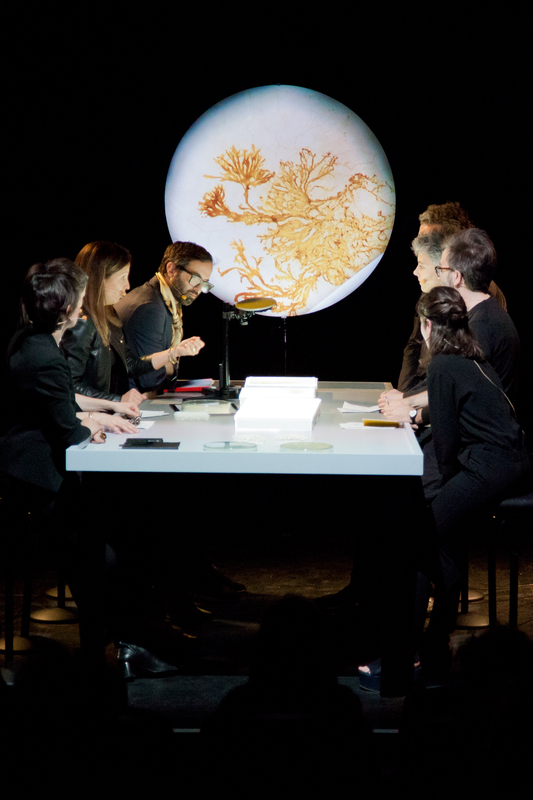 The first iteration of Dissect was performed at the Centre Georges Pompidou as part of the Behavioral Matter symposium on March 29th, at 8:30 p.m. Programmed in parallel with the exhibition La Fabrique du vivant, we talked about the living with living works by EcologicStudio (Claudia Pasquero and Marco Poletto), and with experts Marie-Sarah Adenis (designer and biologist), Frédérique Aït Touati (historian of science), Claire Brunet (philosopher), Emanuele Coccia (philosopher), Olivier Dauchot (physicist), Manuelle Freire (research development across Arts & Science), Emanuele Quinz (historian of art and design), and Patricia Ribault (historian and theorist of Gestaltung). 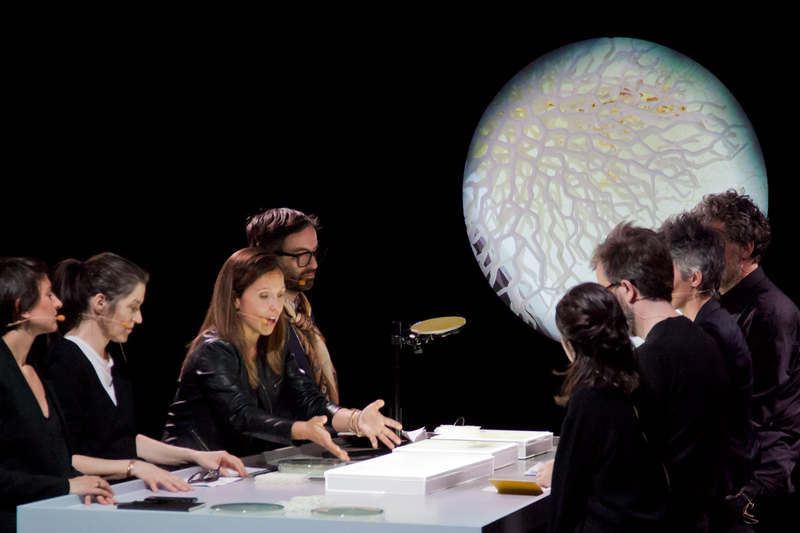 Credits: from an original idea of Samuel Bianchini and Emanuele Quinz, developed by the Reflective Interaction research group of EnsadLab, the laboratory of Ecole Nationale Supérieure des Arts Décoratifs (EnsAD), PSL University, Paris. 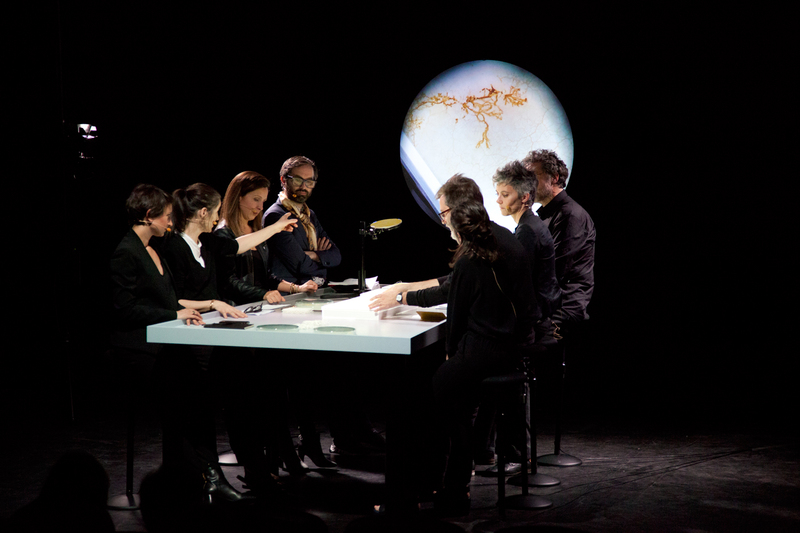 Scenography designed and directed by Samuel Bianchini, with Adrien Bonnerot and Pernelle Poyet (object design), Annie Leuridan (light design), Sylvie Tissot (software engineering), and Brice Ammar-Khodja (video). 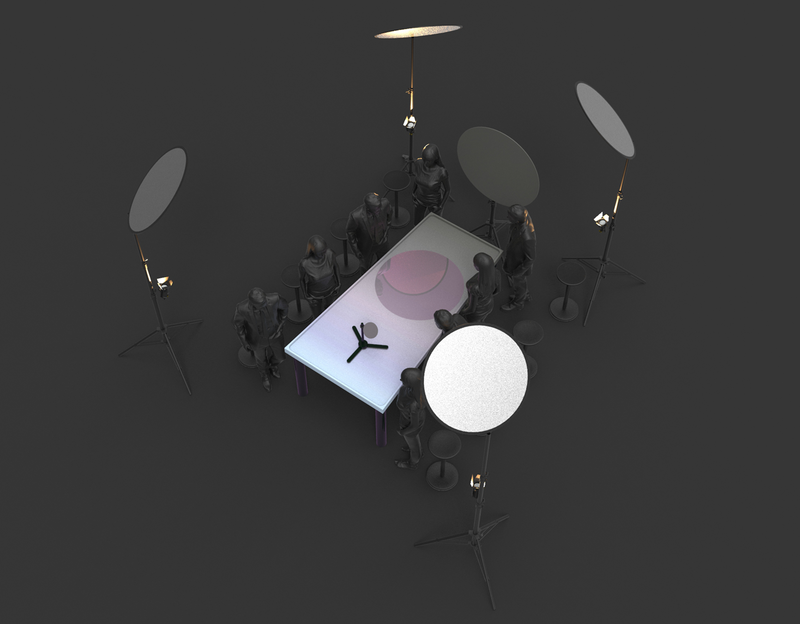 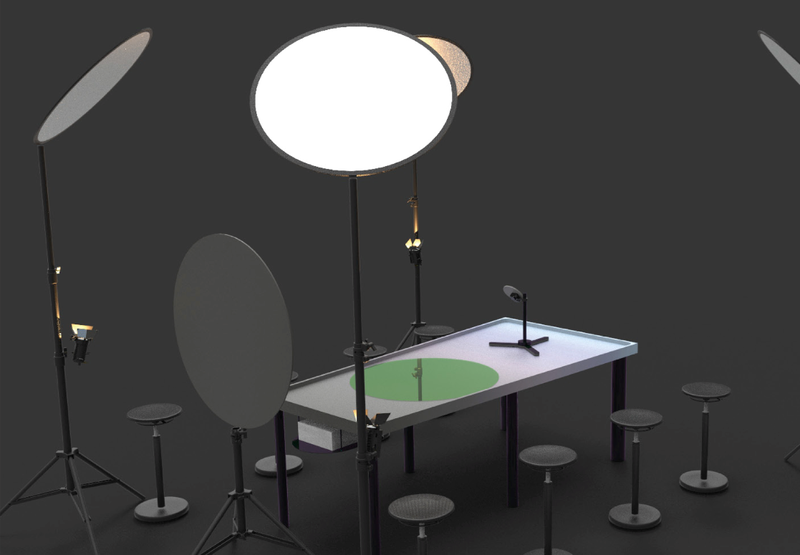 Realization of the table and its utensils: Atelier H2. 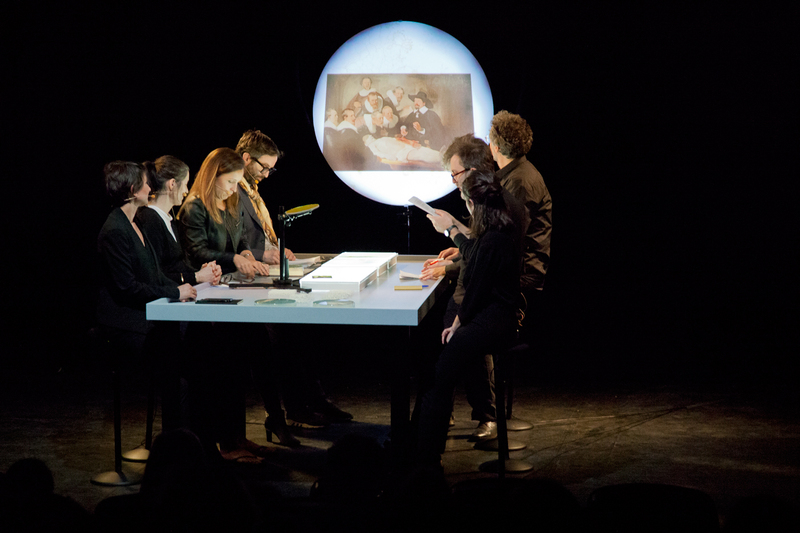 This project is supported by la Chaire Arts & Sciences of Ecole Polytechnique, Ecole Nationale Supérieure des Arts Décoratifs – PSL, and the Daniel & Nina Carasso Foundation. 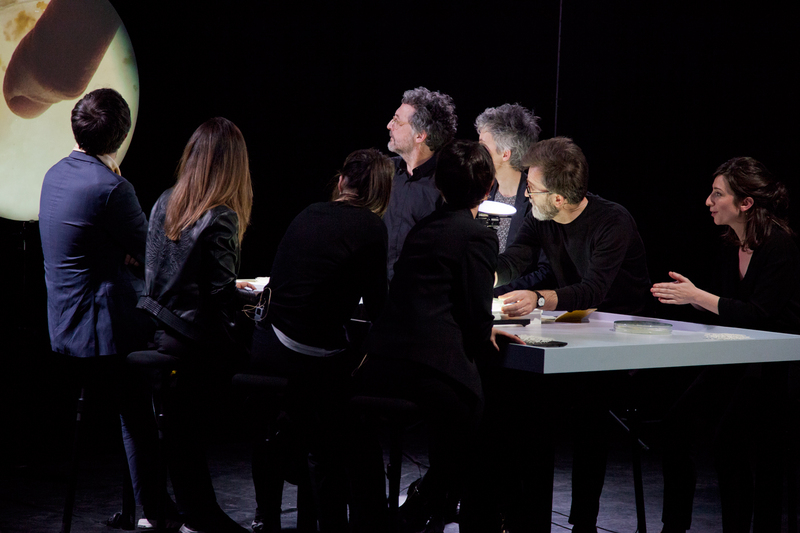 The research on new forms of interactive light writing is carried out in partnership with the “Dynamic Light” project led by Concordia University (Montreal) supported by Les Fonds de Recherche du Québec.